Melville Owen | Owen, Wickersham & Erickson, P.C. Melville Owen is a native of the San Francisco Bay Area. He obtained his law degree from Hastings College of the Law in 1956. Mr. Owen is admitted to practice before all state and federal trial and appellate courts in California, the Court of Appeals for the Federal Circuit and the U.S. Supreme Court. Mr. Owen has developed an international reputation as an expert in trademark law and is registered to practice before the U.S. Patent and Trademark Office. He served on the Trademark Review Commission of the United States Trademark Association. The Commission spent three years developing suggestions for revising the federal trademark law, culminating in passage of the Trademark Revision Act of 1988. Mr. Owen served through 2007 on the Center for Public Resources/International Trademark Association Trademark and Unfair Competition Panel of Neutrals. This national panel of experts is available for Alternative Dispute Resolution (ADR) matters. 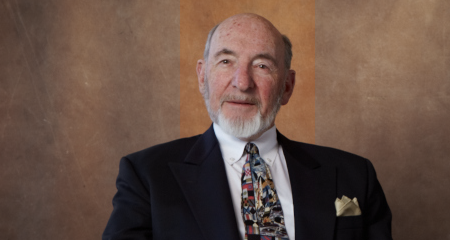 In addition to his active trademark and copyright practice, Mr. Owen has lectured and conducted seminars on trademark, copyright and trade secret law for CEB, Practicing Law Institute, Franchising Forum, International Trademark Association, Institute of Trademark Agents (UK) and the California State Bar. He also serves as intellectual property counsel for a variety of civic, charitable and environmental organizations. In addition to intellectual property related activities, Mr. Owen has served on the Bay Conservation Development Commission, North Central California Coastal Commission, Metropolitan Transportation Commission and the Governor’s Earthquake Council. Mr. Owen makes time to entertain friends and clients aboard the family’s classic cruiser, Pat Pending. Launched in 1929, Pat Pending has been in the Owen family since 1940. Over the years, San Francisco Bay has been the venue for many successful negotiations and settlements.